Avocados are wonderful trees with stunning leaves. 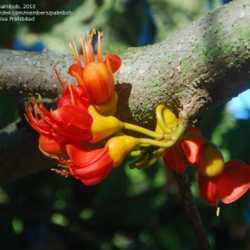 They are great trees to grow in tropical and sub tropical areas. Many of my best childhood memories involve gathering avocados right off the tree for a midday snack. This is just the basics of why grow, how and where to grow, taking care of, and the basics of Avocados trees. They are easy to grow and highly rewarding trees which can, with some work, even be grown in pots in cooler areas. However, they may never fruit in a pot. The flowers are nothing to look at individually but it is stunning to see a whole tree in bloom with long clusters hanging from the tree. 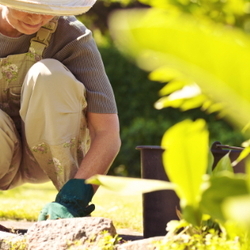 Blooms may start anytime after December and last all the way into early spring. The skin might be smooth and thin or very hard and woody. Trees bear fruit in alternate years---heavy one year and very light the next year. There are a few trees and varieties that are better at fruiting each year. Avocados are very low in sugar and are great in salsa and guacamole. Avocados are a good source of vitamins and are high in calories. 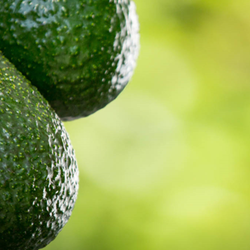 The avocados are native to subtropical and tropical America. 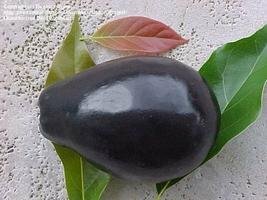 The hardiest are the Mexican types that can take slightly below 20 degrees and they are the hardiest of all avocados. The cold is the biggest factor in growing avocados in the Unites States. Most people that can grow Avocados are in California and Florida, but a few can also live in the Gulf area and in Texas. There are some wonderful new varieties that are being worked on but that have not been placed on the market just yet. Good drainage is the key to growing avocados. They hate wet feet and they hate standing water on their roots. If you have poorly drained soil, building a raised bed is the only way to grow avocados. Many times in Mexico I have seen people building huge planters for their avocados just to insure the proper drainage. Avocados are fast growers and a three year old tree might well be twelve feet tall, so plan for a fast growing and short lived tree. Most only live twenty to thirty years. However, some wonderful specimens have lived well past forty years. 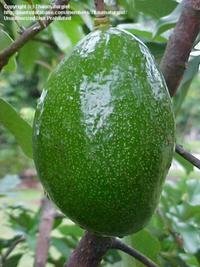 The soil around the young avocado tree needs to be soaked once a week for the first year at least. Just make sure the soil is dry before you water again. This is a shallow rooted tree and the roots, if kept moist, will rot in the ground. Trees do not do well in alkaline soils and will have chlorosis if left in these soils. The young tree will need the soils to be weed free and be very careful to not use pesticides anywhere near the trees. Little, if any, areas on the tree will ever need pruning and the tree will be a nice shape if left to its self. If large areas of the tree are dead, they can be removed from the tree but care should be taken not to damage the living areas of the tree. Due to the fact that avocados are a stubborn fruit, they will often fall off the tree before being fully ripe. Don't worry, this is normal. These fruits may be gathered up and brought into the house to ripen. There are no good dwarf trees on the market at the moment but there is still hope and there are several breeders that have been rumored to be working on the trees at this time. Due to the unavailability of anything but the common trees on the market, many people will try to grow their own trees. You can search for trees in many markets and they often become available on the market. There are a lot of trees that are becoming more and more available but there is still a lot of work to go in the area of breeding and selling quality trees. If you get into the breeding of avocados, you will quickly find that the market is wildly open for you with lots of room to venture out into.